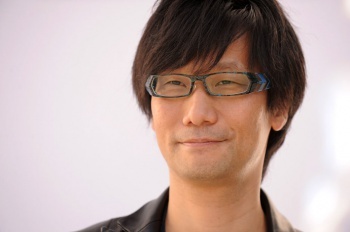 At the 2015 Game Awards, host Geoff Keighley stated that Konami had banned Hideo Kojima from accepting any awards. Metal Gear Solid V: The Phantom Pain took home two awards Thursday night. One of those was Best Action/Adventure Game, which was accepted on Hideo Kojima's behalf by voice actor Kiefer Sutherland. According to host Geoff Keighley, Kojima did not attend because he was legally banned from accepting any awards by Konami. "As you noticed Hideo Kojima is not here with us tonight, and I want to tell you a little bit about that," Keighley said. "Mr. Kojima had every intention of being with us tonight but unfortunately he was informed by a lawyer representing Konami just recently that he would not be allowed to travel to tonight's awards ceremony to accept any awards. He's still under an employment contract, and it's disappointing, and it's inconceivable to me that an artist like Hideo would not be allowed to come here and celebrate with his peers and his fellow teammates." In October it was reported that Kojima parted ways with Konami, although Konami denied the report, stating that Kojima was "on vacation."